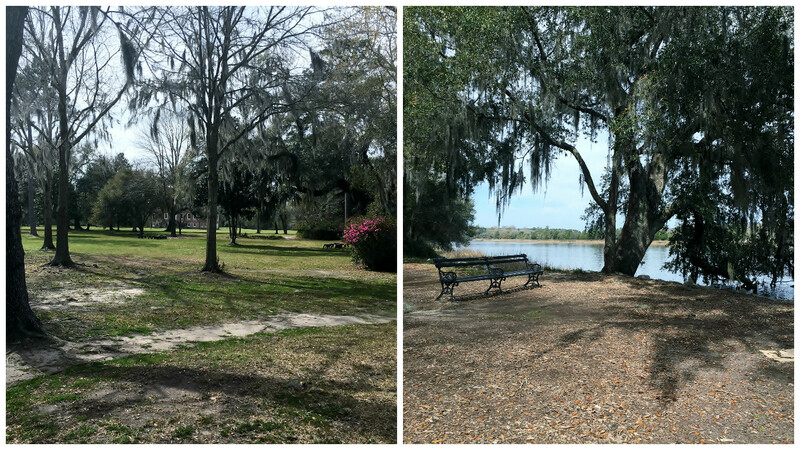 On our way back home from Florida, we took the opportunity to see a bit more of the south by stopping at Savannah, Georgia and Charleston, South Carolina. 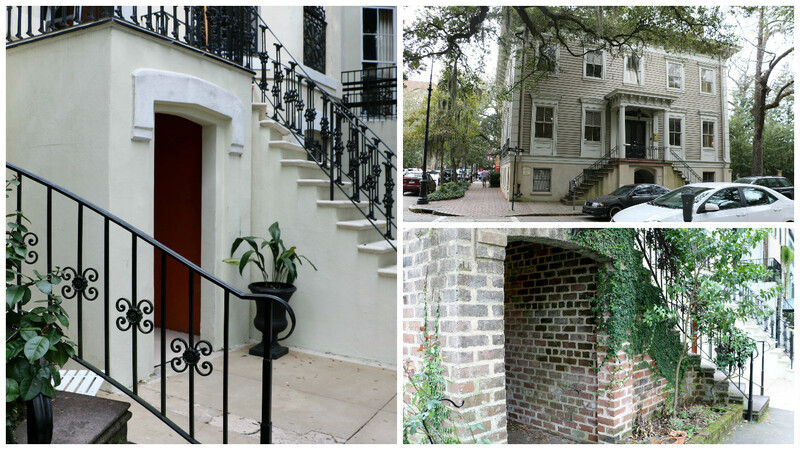 We only spent one full day in Savannah, but ended up taking our time in Charleston. 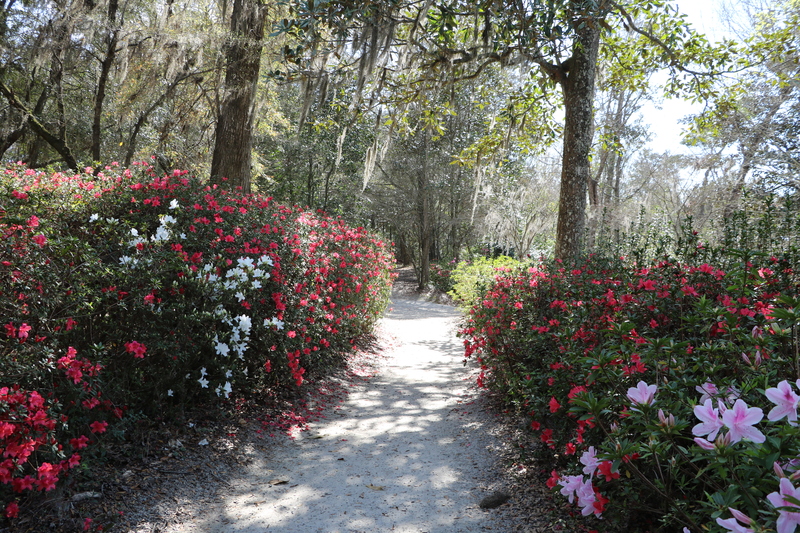 The photo above is from the grounds of Middleton Place in Charleston. I’ve put up probably too many more further down on this post! So sorry, but it was such a beautiful spot! 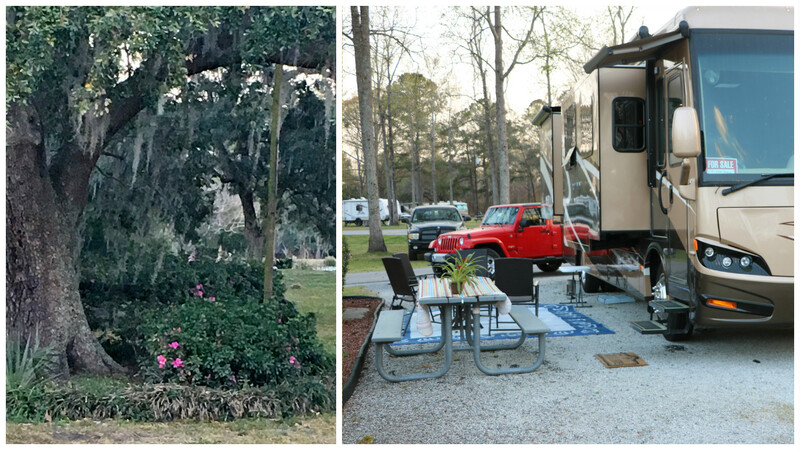 While we were in Savannah we stayed at Red Gate Campground. It was an RV park carved out of a farm that has been owned by the same family since the 1930’s. Today the family also uses a barn on the property as a wedding venue. It’s a cute place; there are chickens, horses, and a nice swimming pool. The only amenity we missed was cable, but there was a couple different buildings that had TVs for people to watch. 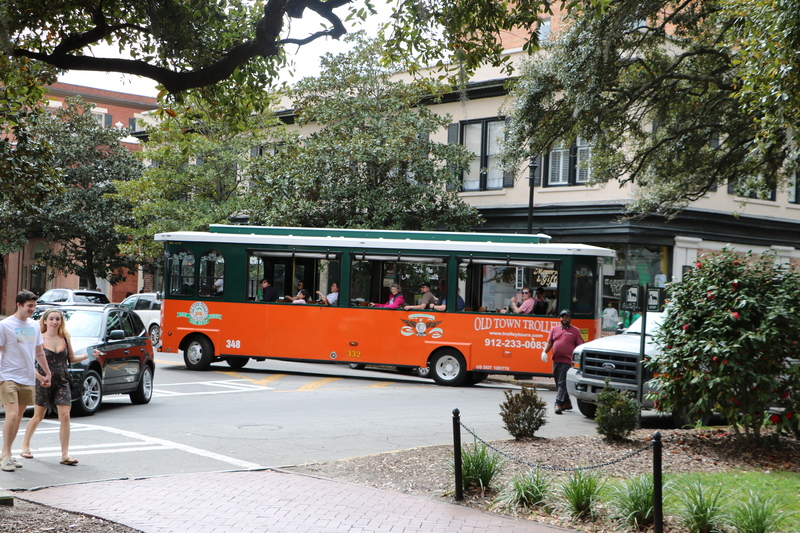 Besides walking, the Trolley seems to be the best way to get around Savannah. It even picks people up at the Red Gate Campground by arrangement with the office. We hopped on and off the Trolley several times during the day as we took in the sights. 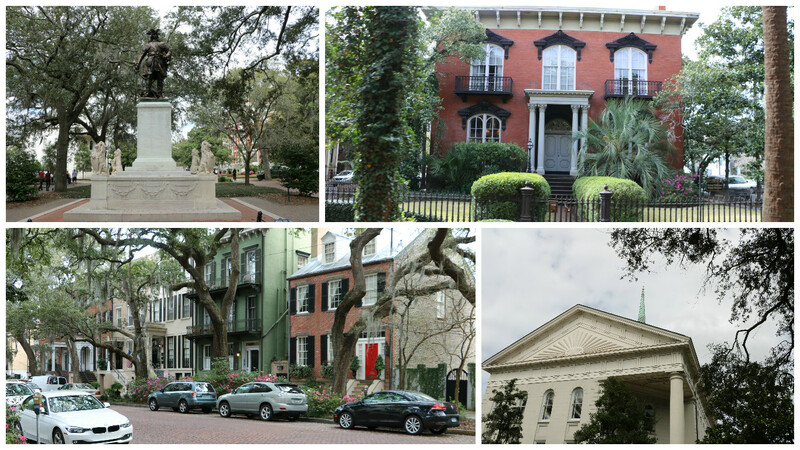 A unique characteristic of Savannah is that the city was planned and built around squares of green space. Today there are 22 of them and two are “lost”. Each square is named for someone or some important historical event. Many of the squares we saw had a monument honoring someone other than the person the actual square was named for. In the upper left of the collage above is a statue of James Oglethorpe, founder of Georgia. However this tribute is in Chippewa Square, not in Oglethorpe Square. Chippewa Square is where Tom Hanks sat in the movie Forest Gump; the bench is now in the visitor’s center. In the photo on the lower right faintly shows the church steeple from which a feather floated down in the beginning of the movie. 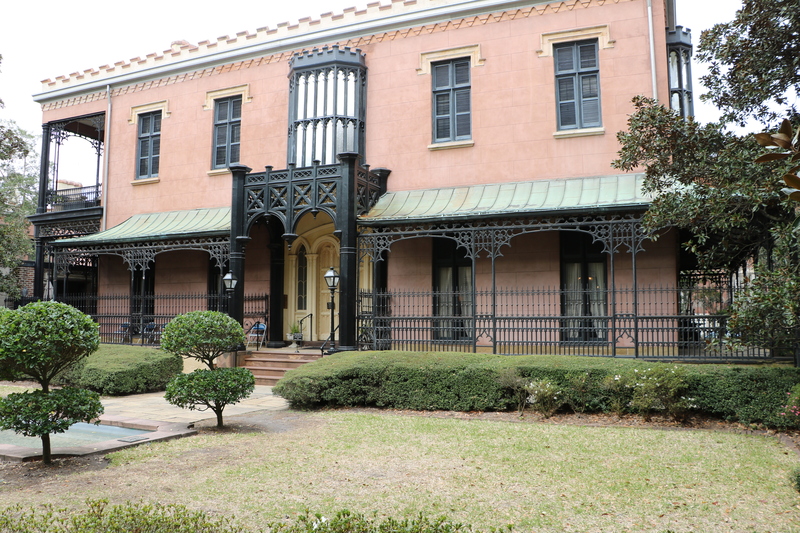 On the west side of Jackson Square is the Green-Meldrim House where Union General William T. Sherman had his headquarters in Savannah. The house belonged to Charles Green who had come from England in 1833 and made enough money dealing in the cotton trade to have it built around 1850. When Sherman came into town, Green rode out to meet him and offered the general the use of his house. I don’t know if Green was a Union sympathizer or not, but the offer did ensure that his house didn’t get damaged. He and his family continued to live in it for several years afterwards. Today it belongs to the church next door. It is open for tours, but unfortunately the church was using it for a meeting the day we were there. Mr. Green built his house in the Gothic Revival style, but we saw house after house built in the Federal-Style which was popular in the mid 1800’s. These houses often had double entry stairways to keep the front symmetrical. Usually the servants (slaves) worked in the area through the little doors underneath the grand wrought iron railings. 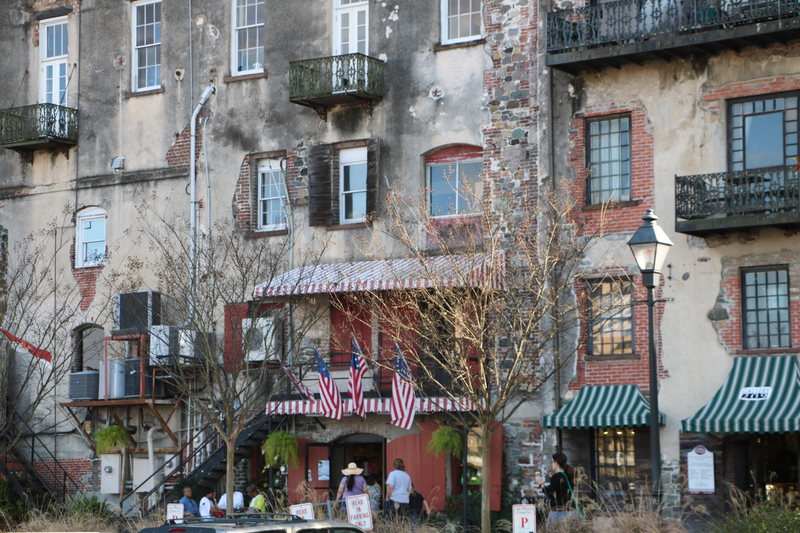 We also loved the charming houses built after 1870 in the Victorian District, Savannah’s first suburb. The trolley has a stop on the water front of the Savannah River. We appreciated the signs along the river-walk that told the history of the city. Along the street facing the river there are lots of fun looking shops and restaurants. The stones that pave the streets going down to the river and are on building facades near the waterfront came from the ballasts of colonial era trading ships. While in Africa or the Caribbean, the crew would fill their empty holds with rocks and then leave them behind when they picked up goods in Savannah. We left Savannah knowing there was plenty more to look forward to seeing the next time we passed through. Our Charleston RV park was similar to the one we stayed at in Savannah in that it was also once a farm and was still owned by the same family. 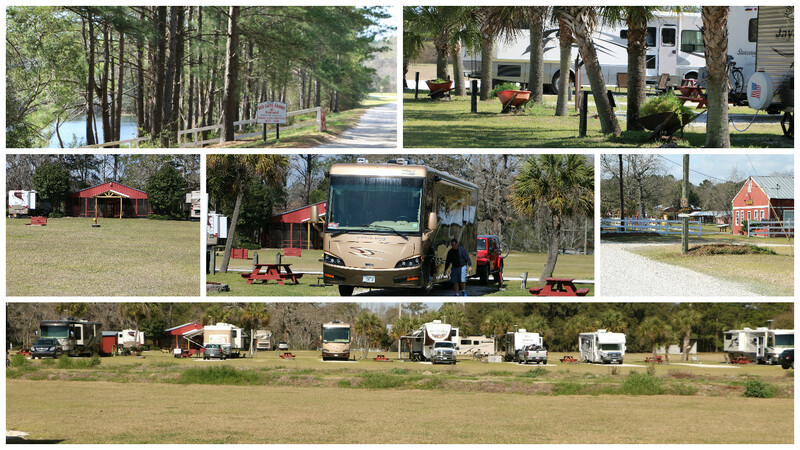 However, while Red Gate was cozy and cute, Oak Plantation Campground was a serious motor home destination with 200 spacious gravel sites, most of them pull-throughs. It had a lovely entrance, pool, full hookups and cable. 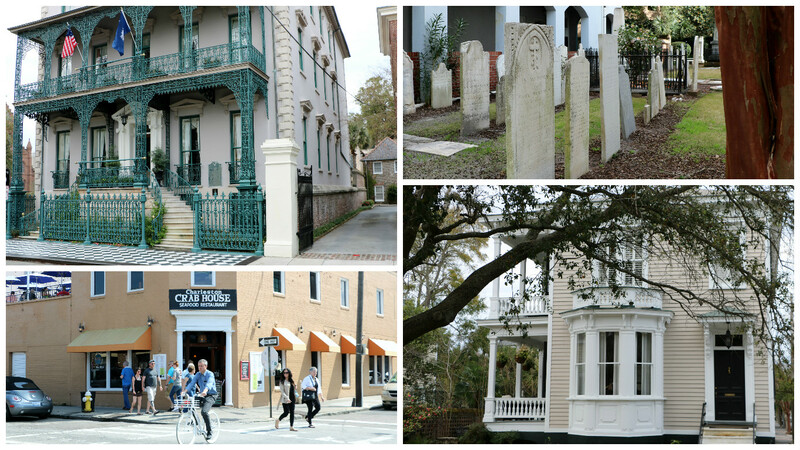 Before we even went into the city of Charleston we visited some spots outside of it. 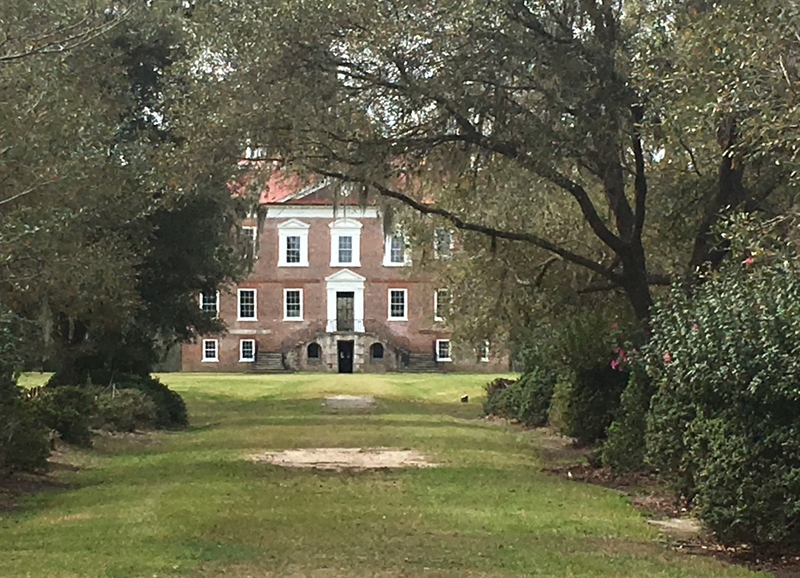 Drayton Hall, which had been a rice plantation, was just a short drive from our campground . 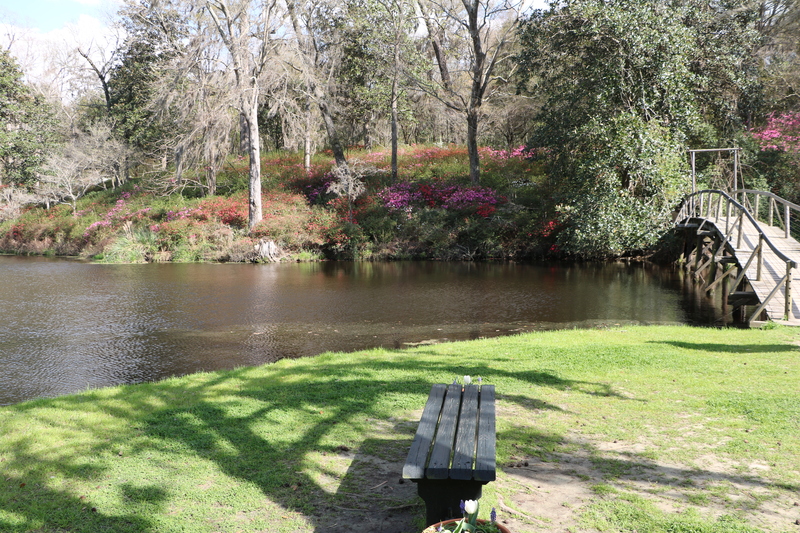 It and several other former plantations sit along the Ashley River. 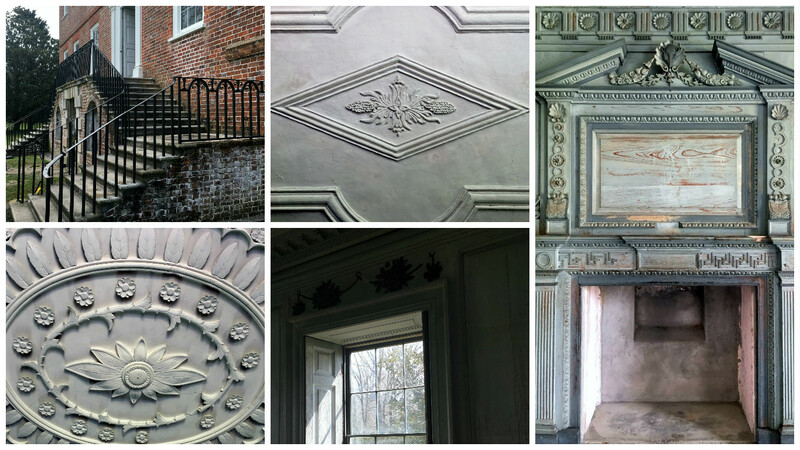 Drayton Hall is special in that it is preserved, not restored. There were some very well dressed ladies from Chicago on our tour and they were complaining that the house should have been repainted, furnished, etc. to represent the era in which it had been built. I thought is was so interesting to see the house how it really was. 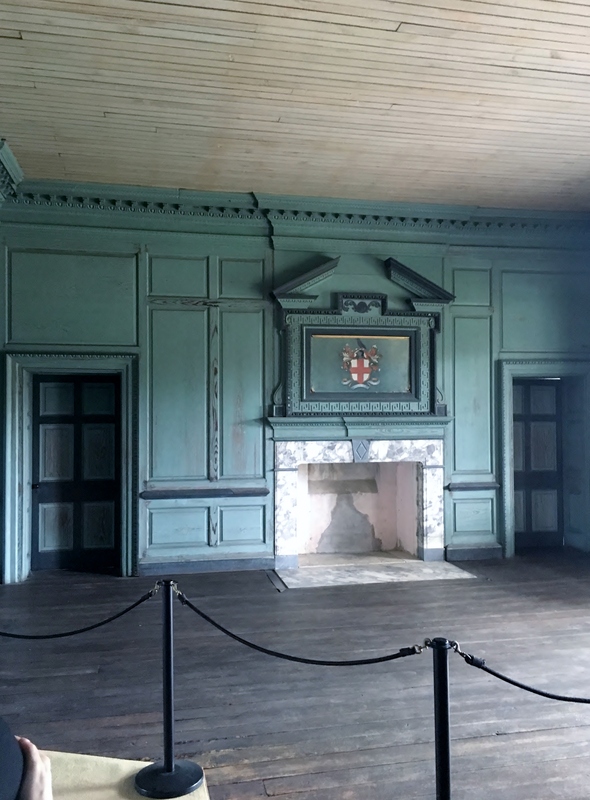 Built probably in the late 1740’s, it stayed in the same family until 1974 when it was passed to the National Trust for Historic Preservation. The family did very little to alter the house over the years and most of the original carvings and woodwork still exist. 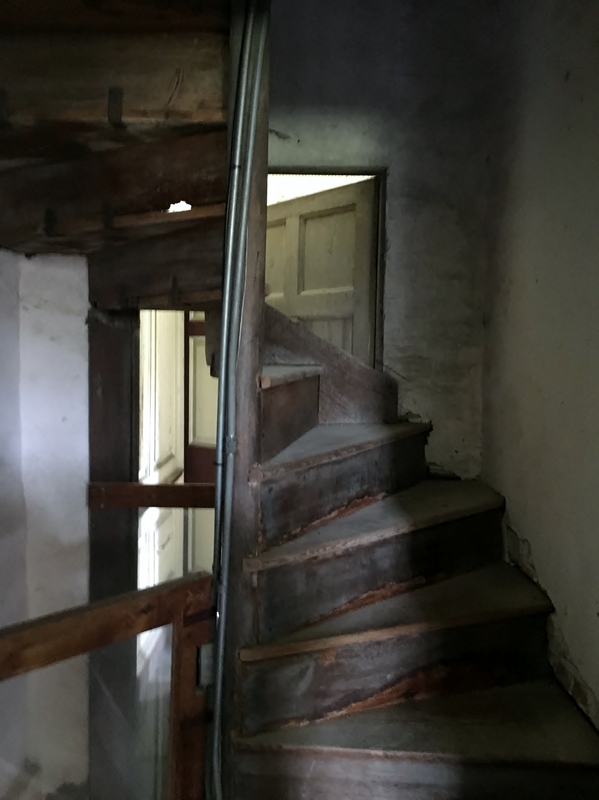 This was a hidden staircase that was behind a door. It went down to the lowest level where the house slaves worked up to the dining room. 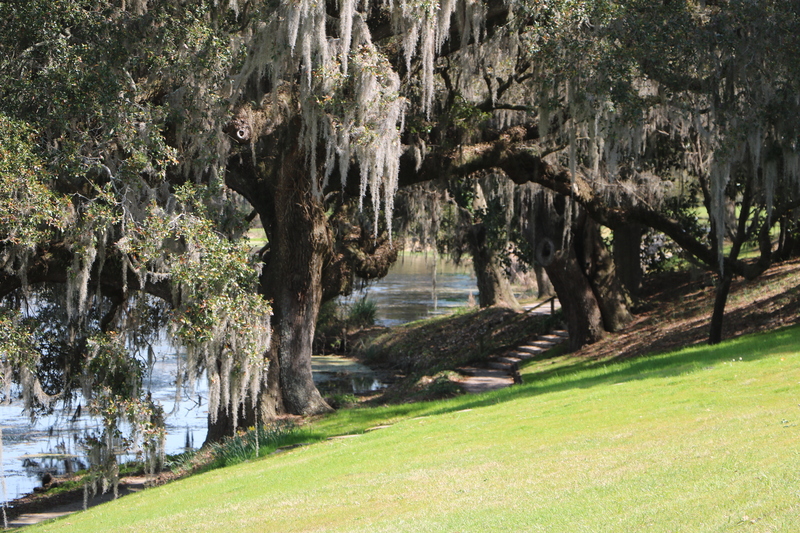 The grounds of Drayton Hall were beautiful, peaceful, and quiet. 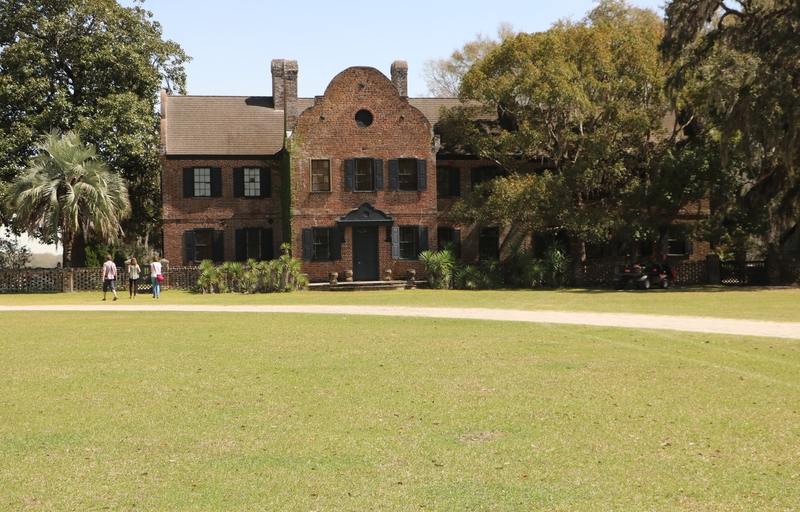 The house was built by John Drayton who’s family owned Magnolia Plantation and Gardens, another tourist attraction. Being the third son, he knew he wouldn’t inherit that property so he build a grand house of his own. After visiting Drayon Hall so we drove over to the Citadel. Most Friday afternoons, a parade is held for the public to watch. It was interesting to see the college and the parade was narrated to explain how the traditional formations were actually training and communication tools for the military. We have been mildly interested in bird watching, so when a high school friend of Roy’s who lives in Charleston invited him to go birding early Saturday morning, we were game. Caw Caw Interpretive Center , just down the road from where our park was, hosts bird watching walks a couple times a week. From what I could tell, it’s all about identifying the calls one hears and then looking in the direction the sound came from until the bird is spotted. The group was very excited to see the bird in the upper left photo in the collage above. Camouflaged, the bird was hard to see until the group leader located it in his super magnifier device he had mounted on a tripod. One excited guy actually pushed me out of the way in order to get over to see the bird! 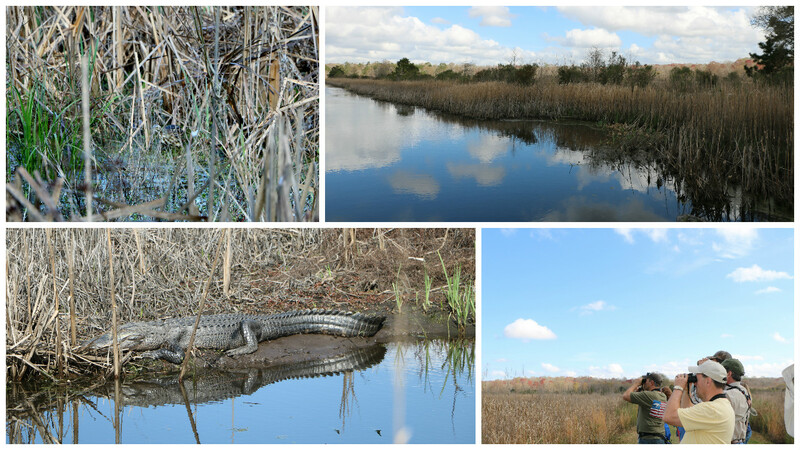 The lands of the preserve had once been part of a rice plantation and we saw several alligators hanging out in the low country. 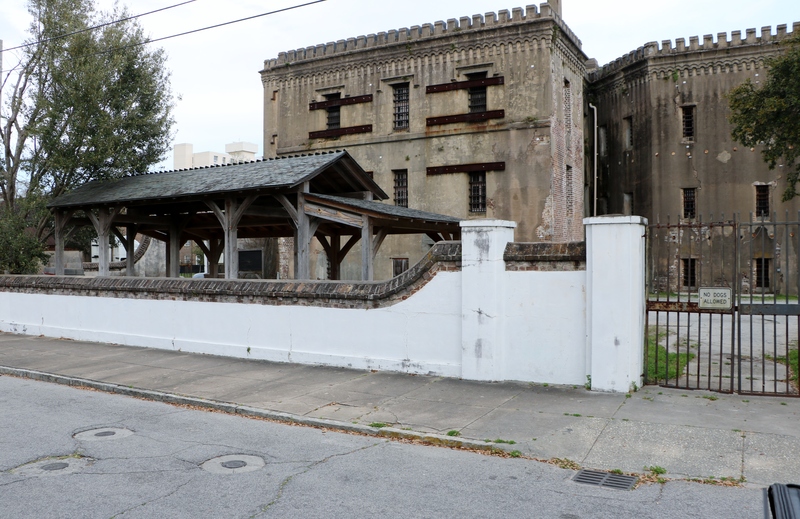 When we did venture into town, we were excited to find free public parking from 7 am to 6 pm in the Charleston Water Systems parking lot, very close to the intersection of St. Phillip and Vanderhorst Streets. We happened to be there on the second Sunday of the month when King’s Street is closed to vehicular traffic from 1 pm to 5 pm. 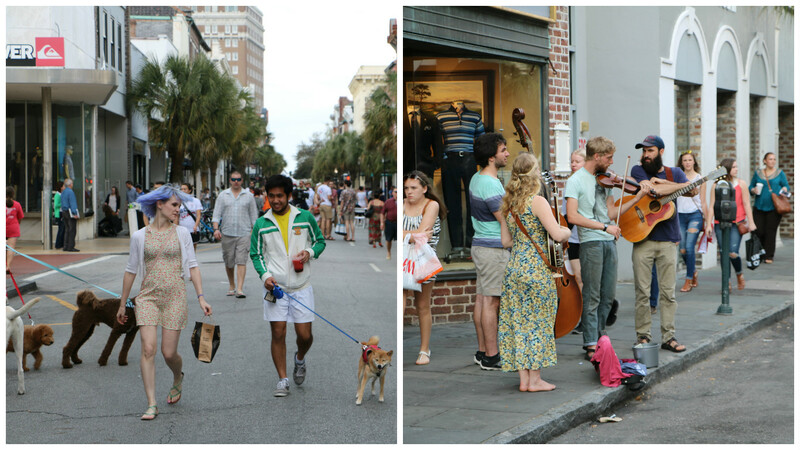 Area restaurants set up tables in the street, musicians play on the corners, and interesting looking people with their dogs were everywhere. 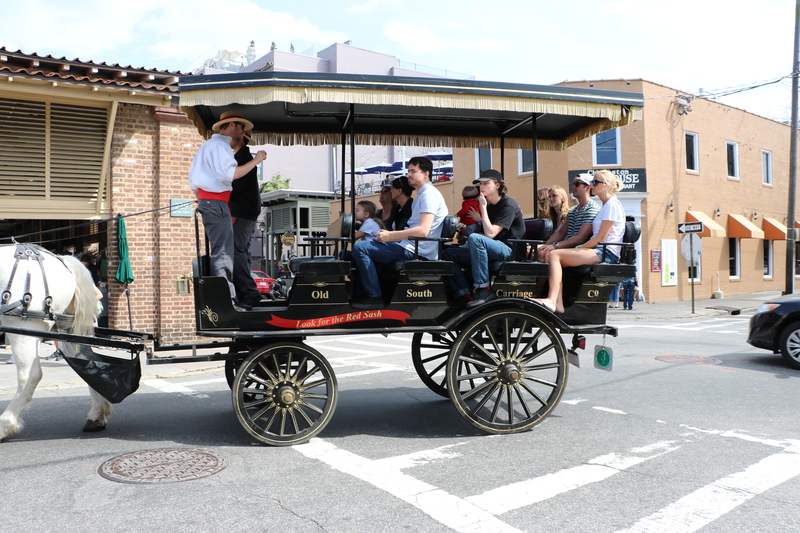 We were told that the best way to see the historic part of Charleston was a carriage ride. There are several different carriage ride companies and all of them have to go to the same station before starting out before being assigned a route to take. I guess it’s a way to disperse the traffic and avoid carriage jams. At any rate, people can hear something different each time they take a carriage ride. We enjoyed our ride as it went through it’s assigned streets, but we wished it had been longer. 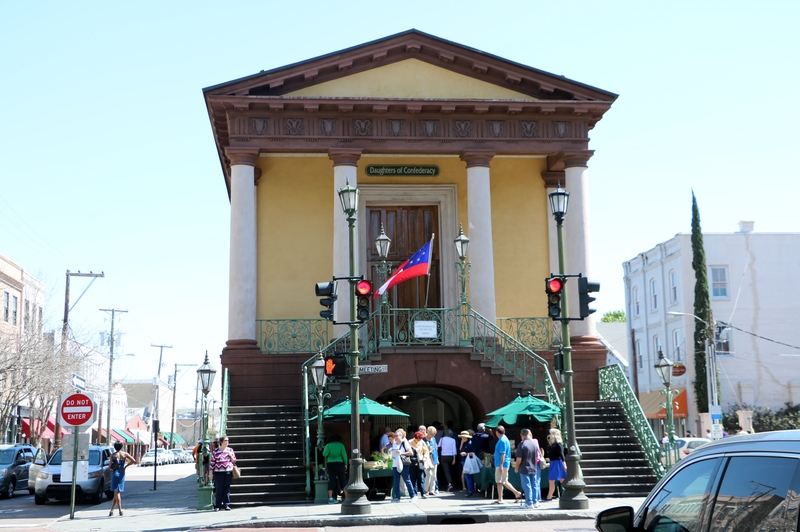 People call Charleston’s city market the slave market, but slaves were never bought or sold there. They were the ones who did the buying of food, etc. for their master’s house. We also stopped by the Confederate Museum. 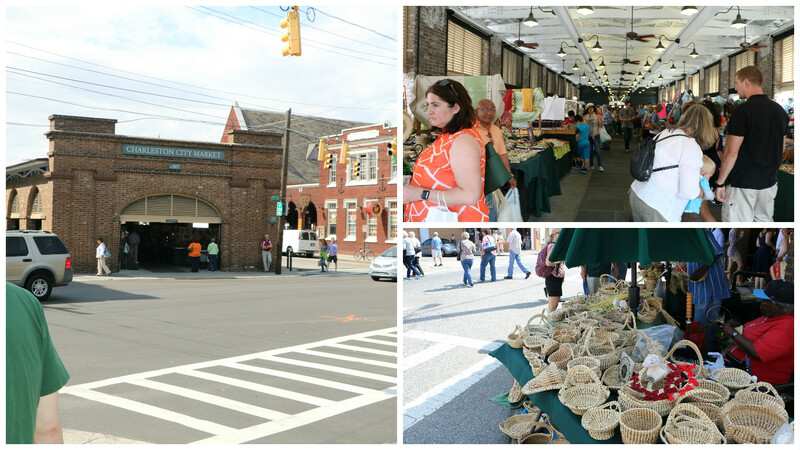 The building it is housed in is right in front of the City Market and was built in 1841. Inside they have reference material for anyone doing research. They also have a lot of random artifacts that were not displayed in any apparent order. Things such as buttons off a uniform or old photos were identified by handwritten slips of paper that looked decades old. 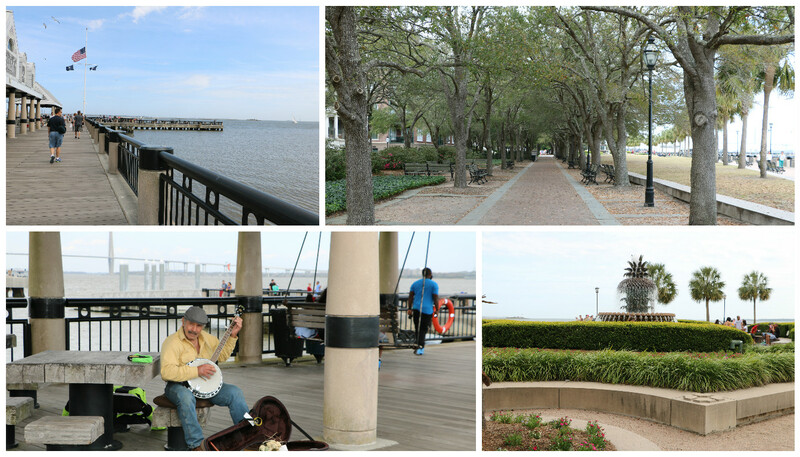 We walked down to Waterfront Park and wandered around on the wharf and the walkway that ran along the river. 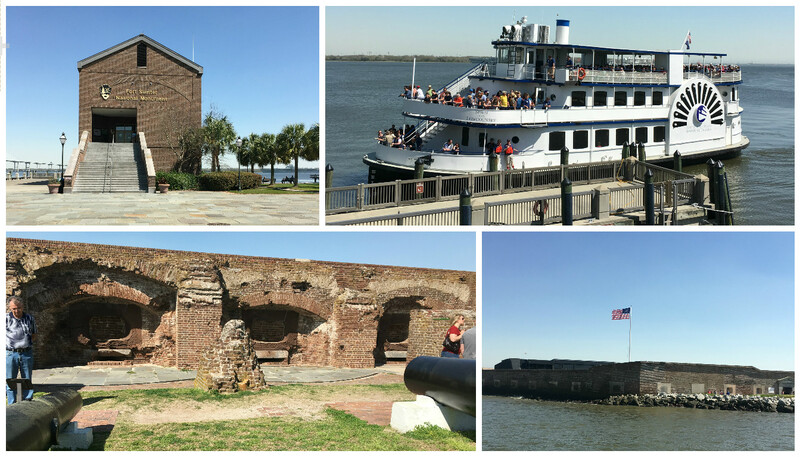 We took another half a day to see Fort Sumter where the Civil War began. 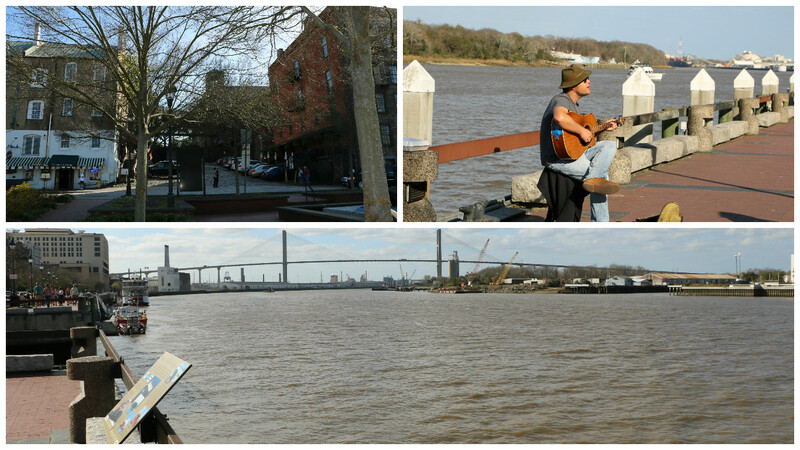 Since it sits out in the bay, we took a boat from the downtown departure location on Concord Street in Charleston. There is another departure center in Mount Pleasant. While we were waiting for the boat, we walked around and looked at the displays and artifacts that explained the events that led up to the war. The boat goes out to the fort about three times a day; our boat left at 2:30 and it took about a half hour to reach the island. The last boat that returns to Charleston leaves at 4:00, but an hour is plenty of time to wander around and see the museum inside. We wanted to see one more plantation before we left. We were torn between going to Magnolia Plantation and Gardens or something less touristy. 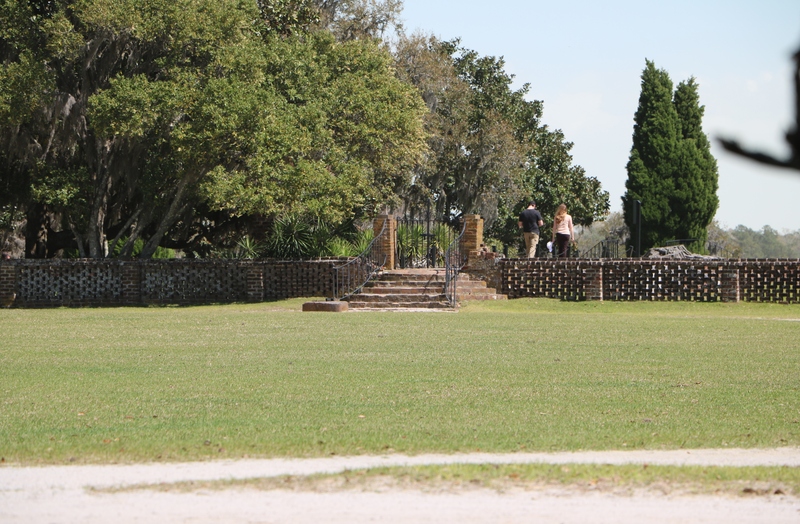 After seeing reviews on the internet we decided on Middleton Place. 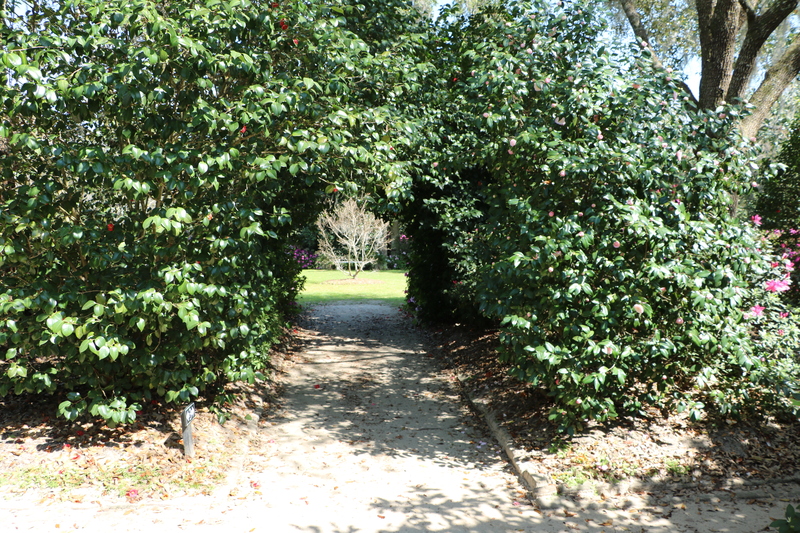 The Middleton family home was built in 1741 and besides having breathtaking gardens, the property also had buildings that were the operation center for all the lands and plantations of Henry Middleton. After Union troops burned the home to the ground, the family moved into a flanker building that had been used for offices. 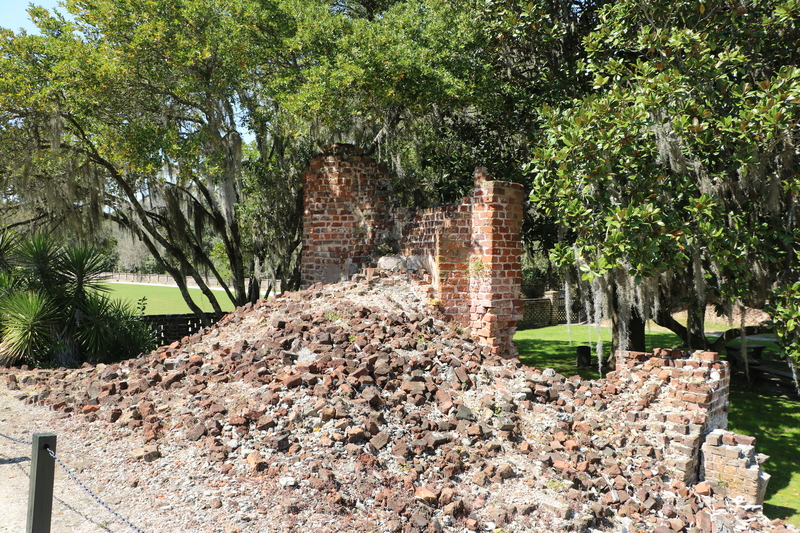 Over the years this pile of bricks from the original home has diminished as it has been used for other buildings on the property. The roof to this building was damaged by the Civil War fire, but the house itself was mainly intact making it possible for the family to live there. For an extra fee, visitors can tour this restored home which is filled with replicas of period furniture and decorations. 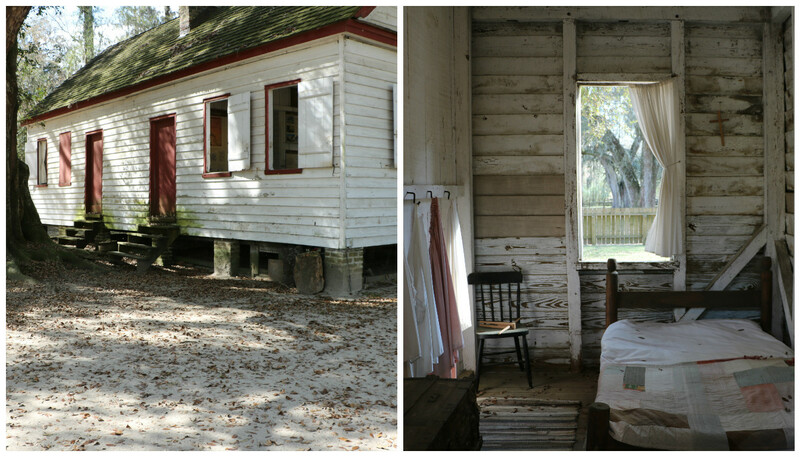 The slave quarters would have been situated away from the house. The cabin above was built by freed slaves and reportedly, they felt like they were living in a palace compared to what they had before. Slave housing would have been build directly on the ground so the floor would have just been dirt. Around 1916 the family began to restore the gardens. Above is the view from what would have been the back of the house. The bodies of water are known as the butterfly lakes since they look like two wings. 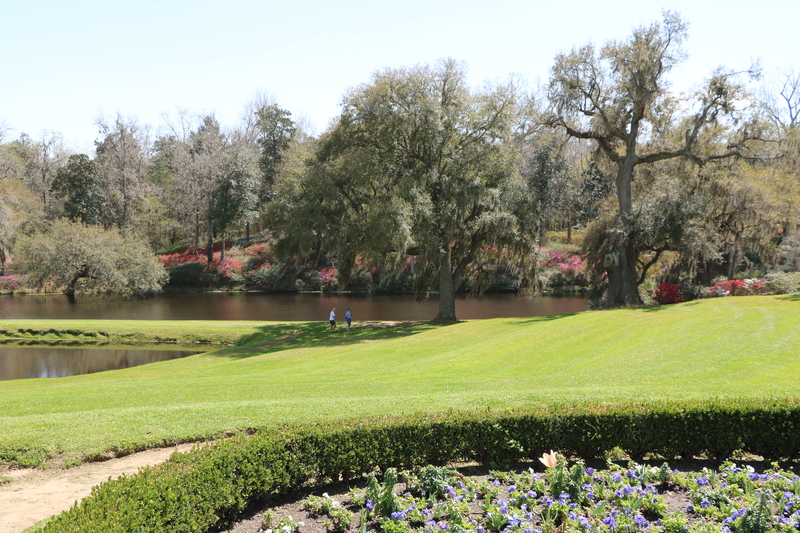 The azaleas were in bloom and these photos don’t even begin to show how beautiful the grounds were. 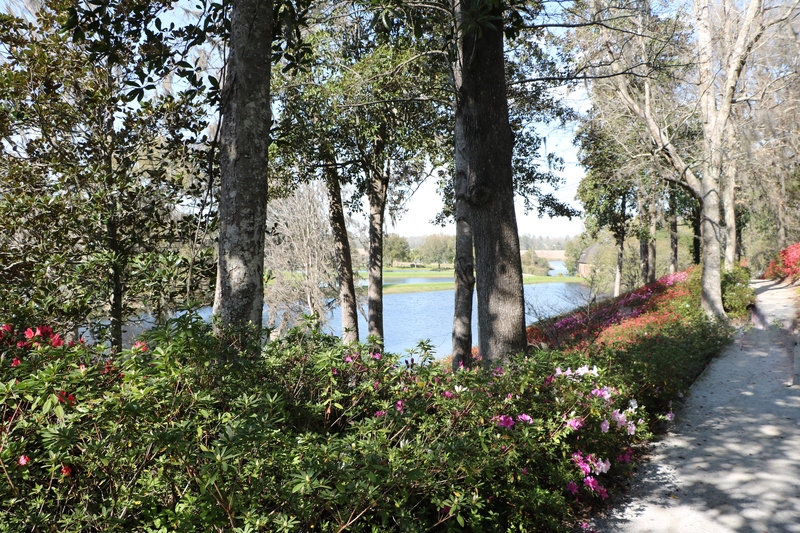 Winding paths led to beautiful spot after beautiful spot. Trails led to secret gardens; it was magical! We wandered around the grounds all day and never even went inside the restored house – there was that much to see! Obviously spring is a great time to visit, but I’d love to return any time.